One of the few consolations of winter is having longer to view the stars (British weather allowing). I am able to have a good look on my morning walk with the dogs and also when I collect the children in the late afternoon. But I am a very ignorant star gazer. Really, I am hard pressed to distinguish more than Orion, the Pleidies and the Great Bear. Knowledge of the night sky is now something reserved for sailors and those trained to survive in the wild. 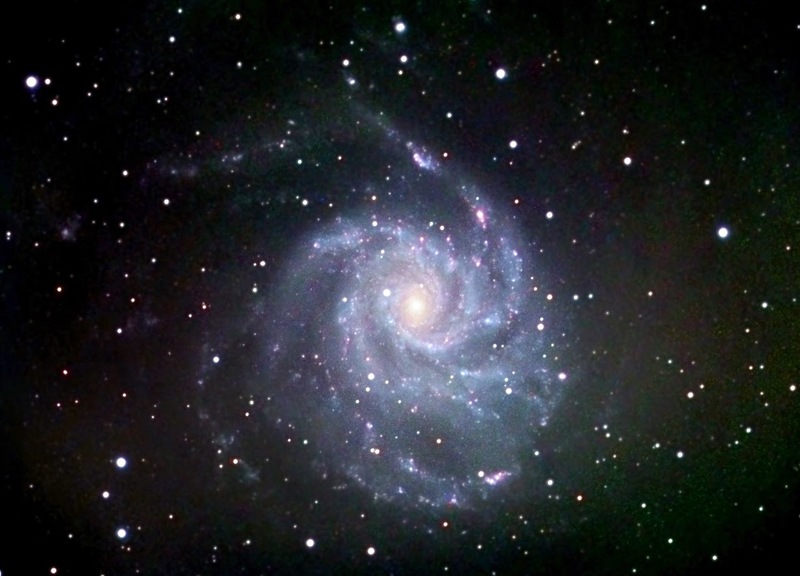 Not forgetting the wonderful amateur and professional astronomers with their long lenses and acres of radio telescopes. The rest of us are usually in doors after dark and no longer spend time around a fire, gazing upwards at the smudges of galaxies, listening to the legends of the constellations. We have many other means to navigate our world and to amuse ourselves. We do still care, however. According to my Aries horoscope for 2015, I will see all my hard work pay off. I will receive increased respect and recognition. There will also be financial rewards. I can hardly wait! 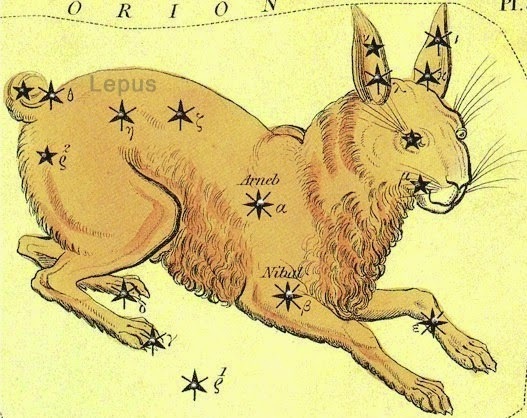 The connection between the Zodiac, (Greek zodiakos kyklos) the circle of animals, and the fate of mortals has long been conjectured. The exact position of the planet, or wandering star, in the 30 degree aspect of the heavens which was ascendant at the time of a person’s birth was deemed to have an influence not only on their character but on the outcome of all aspects of their lives. All this must proceed from some distant time in prehistory, the time of myth makers, when people decided that a particular asterism was not random, but actually a crab, or a bull, or a thirst-slaking camel. Why shouldn’t the life in the sky reflect the life on the earth? Where did all these earthly beasts come from if not from something bigger, grander, and immortal like the stars? Human understanding of the behaviour of the inhabitants of the earth was extended up to the starry heavens and then reflected back onto mortals. You were born under Aries? Well then, like a ram you are aggressive, forceful, direct and ambitious. Born under Leo? Then you are strong, generous, brave and boastful. Some constellations reflect the faults of human nature even more directly. Callisto was a follower of Artemis, virgin goddess of the hunt. But the avowed virgin Callisto was also very beautiful. In the version of the story told by Ovid (1st century BC) in his Metamorphoses, Zeus desired her and disguised himself as Artemis to gain her trust. He then raped her. When her pregnancy was discovered Callisto was cast out by Artemis. After her son Arcas was born, Hera, Zeus’s jealous goddess wife, turned Callisto into a bear. But a bear with the mind of a woman. Her son grew up to be a hunter, and one day whilst in the forest, Callisto, the bear, saw her son. She went towards him, and Arcas, seeing only a bear, raised his spear. At this point, Zeus intervenes and stops the bronze tip of the spear before it kills Callisto. He whirls bear and man into the sky and changes them into stars, Ursa Major and Ursa Minor. Lust, violence, jealousy, revenge and sadness. Written in the heavens. All much as one would expect from a myth. Archetypes are important. They tell us what we can expect in the very worst case scenario and in the very best. But for the rest of the time, we are just normal people, wandering like planets around a gravitational field, of which we are often unaware. But wherever we are, there are the (seemingly) unchanging stars above us. 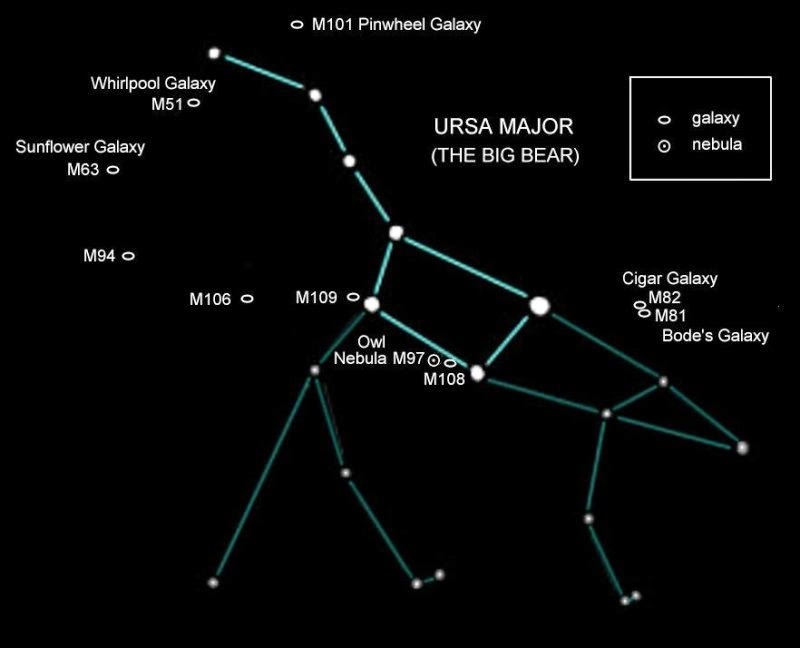 Inside the constellation of Ursa Major there are countless galaxies, solar systems, stars, planets, geographies. What we perceive as mere specks are conglomerates of worlds and wonders past any imagining, in a constant cycle of birthing and dying. Our species specialises in pattern recognition, in imagining the inner life of things distant from us, in creating stories. We perceive patterns and relationships in the distant points of light, and consider the stars with an alloy of familiarity and fear. Striving for the known in the vastness of the unknowable. I am ten or twelve in a canoe on a Canadian lake. above me the endless depth of space, with it’s own archipelagos. and ladled it into cups with a battered tin dipper. the Big Dipper, made from seven stars of Ursa Major. carefully balanced in a strong and steady hand. reflecting this earth’s tilt and spin. it looks like a plough, not a dipper. the galaxies where star seeds grow. For me it marks my place.